These are the instructions to root Samsung Galaxy Note 4 SM-N910F running Android 5.1.1 Lollipop using the Odin flash tool on a Windows computer. You must have the Samsung Galaxy Note 4 smartphone with the model number SM-N910F to use this guide. Those attempting from a different device will probably brick that device. You must have a Windows computer to use this guide. The Odin flashing tool will not flash your CF-Auto-Root file from a different operating system. Download the Samsung USB Drivers  and install them on your Windows computer before you start the guide. Having the drivers running will ensure your Samsung Galaxy Note 4 device is talking to the computer and its programs properly so you can use the guide. Most problems people have with files not flashing are due to the fact that the drivers are not working. We recommend waiting for a while if your device has just received a new update. The reason you should wait is because this rooting exploit is based on the LMY47X.N910FXXS1COK2 firmware for Android 5.1.1. newer software updates can come with new bootloader which cause the rooting exploit to not work and the device to not boot. people must submit the new recovery.img to Chainfire’s official CF-Auto-Root thread at XDA Developers. He will then update the file so it starts working again. These new bootloaders usually are required to be unlocked after upgrades to newer Android versions. Download the CF-Auto-Root tool for the SM-N910F from this link . Download the Odin 1.85 flash tool from this link . Extract the files to the desktop of your Windows computer by right-clicking the file and choosing the “extract here” option from the menu. Enable the Developer Options from the settings by tapping on the Menu > Settings > About Device > Tap the build number seven times and it should say you are using the device as a developer. Enable the USB Debugging Mode on the Note 4 by tapping on the Menu > Settings > Developer Options > USB Debugging Mode. Press the Power button and choose the ‘Power Off’ to turn off the Samsung Galaxy Note 4 smartphone. Boot the device by holding the Home + Power + Volume Down keys at the same time. Let go of the three keys when it tells you to press the Volume Up button from the display and continue to do that now. Connect the Samsung Galaxy Note 4 to the computer with the USB cable. Click the PDA button from the Odin app on the computer and upload your tar.md5 file for the CF-Auto-Root exploit that you did extract on the desktop in the beginning of the guide. Only extract the file once. Do not touch any of the default settings from your Odin app; download a new version if you have changed them before. Click the Start button and the Odin app will now flash that tar.md5 file on your Samsung Galaxy Note 4 smartphone. Wait until the Odin app on the computer gives you the pass message before touching any buttons. The Samsung Galaxy Note 4 device should reboot in recovery mode automatically after it is done flashing the rooting exploit. It needs to enter recovery mode for the rooting to work. 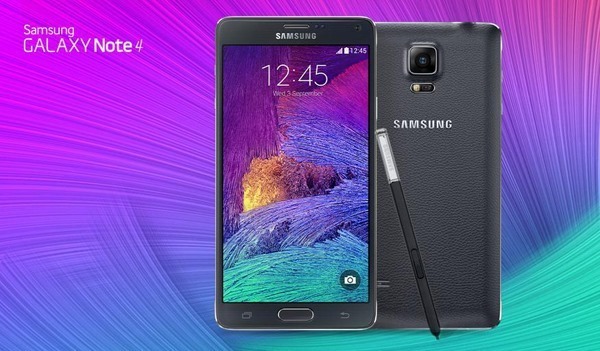 If you do not see your Note 4 device boot into recovery mode, you will need to do that now manually. You can get the device into recovery mode by pressing the Volume Up + Home + Power buttons.